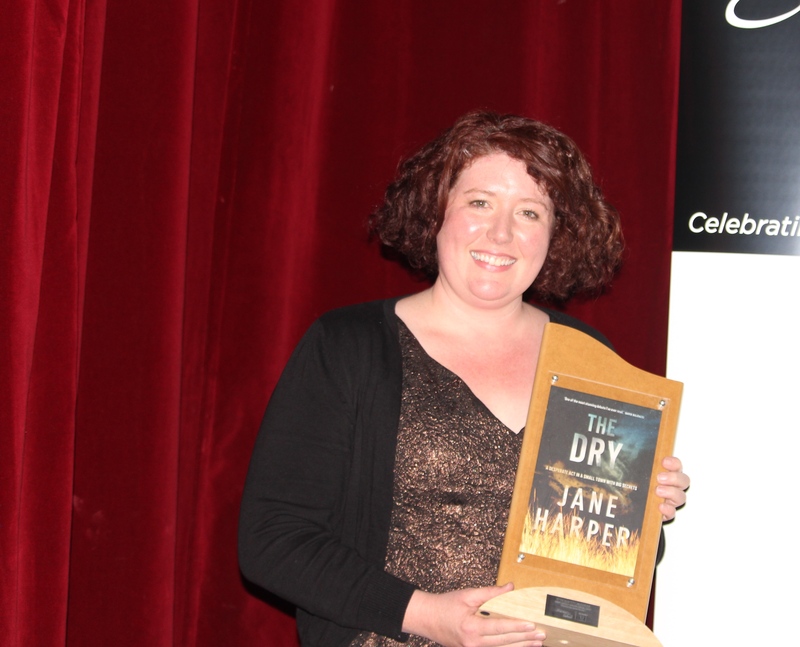 It tops off a stunning award-winning run for Harper, a former Herald Sun journalist. 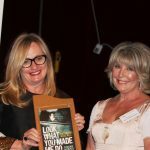 The novel, which first won the 2015 Victorian Premier’s Literary Award for an Unpublished Manuscript, has gone on to scoop the 2017 Indie Award Book of the Year and the 2017 Australian Book Industry Awards Australian Book of the Year Award. Rights have been sold in 27 territories worldwide, and film rights optioned to US actor and producer Reese Witherspoon and her Australian co-producer Bruna Papandrea. Harper donated an advance copy of her new novel, Force of Nature, as a door prize. It was won by Jess Byrne, who is doing part of creative PhD at the University of Adelaide on the Davitt Awards. 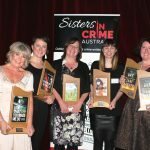 The multi-talented Hilary Bonney – a barrister, true-crime writer and television producer presented the awards before a crowd of nearly 100. 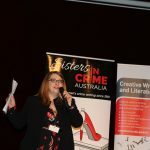 She talked first about her ‘life in crime’, with Professor Sue Turnbull, who was appointed Sisters in Crime’s ambassador at its 25th anniversary convention last year. 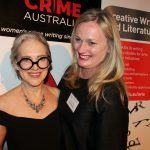 This year, 99 crime books by Australian women were in contention, a 14-fold increase from when the Davitt Awards were first presented in 2001. 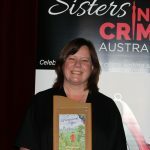 Megan Norris, a journalist with 35 years in news and six true crime books under her belt, won the Davitt (Non-Fiction) for Look What You Made Me Do: Fathers who kill (Bonnier Publishing Australia), through seven cases, involving 13 innocent children who died at the hands of their fathers who were seeking to punish their their mothers. 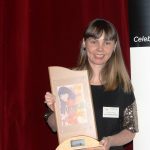 Geelong-based writer and editor, Shivaun Plozza, took out the Davitt (Best Young Adult Novel) for Frankie (Penguin Random House Australia). A darkly funny novel, Frankie explores the disappearance of a young graffiti artist and the angry, smart-mouthed girl willing to defy her friends, family and the law to find him. Frankie was highly commended in the Victorian Premier Literary Awards and is currently shortlisted for the CBCA Book of the Year and longlisted for the Gold Inky Award. It has also been published in the US. Plozza’s second novel, Tin Heart (Penguin Random House Australia), will be released in March. 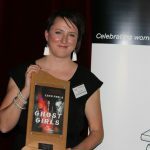 Cath Ferla was awarded the Davitt for best debut book for Ghost Girls (Bonnier Publishing Australia). Thirty books in all for categories competed for the award. 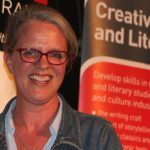 Ferla is a Melbourne-based multi-platform writer with experience in journalism, television screenwriting and educational publishing, and has taught in Melbourne, Sydney and Beijing. She is currently undertaking a Graduate Diploma of Mandarin Chinese. The Davitts, named after Ellen Davitt, the author of Australia’s first mystery novel, Force and Fraud, in 1865, cost publishers nothing to enter. The awards are handsome carved polished wooded trophies featuring the front cover of the winning novel under perspex. No prize money is attached.